This serum helps bind water and restores the barrier functions of the skin, hydrates the top layers of skin, tightens pores, and plumps up the skin’s moisture cushion. It is recommended for all skin types, especially dehydrated, less toned skin or thick skin with large pores. Apply to the face, neck, and cleavage. Not suitable for oily, acne-prone skin or sensitive skin. This is a firming bio-serum. 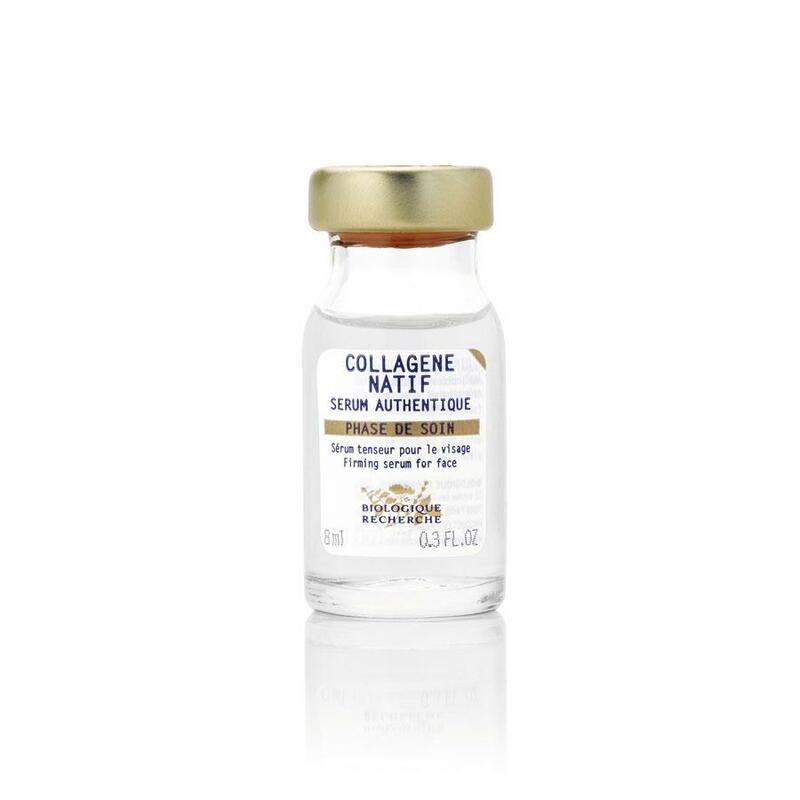 Collagen is an excellent firming agent. It is recommended for all skin types and is ideal for dehydrated skin. Apply Sérum Collagène Natif on clean skin over the whole face, neck, and cleavage in a light ascending massage until the product has been completely absorbed.